Well, the moment has finally arrived. 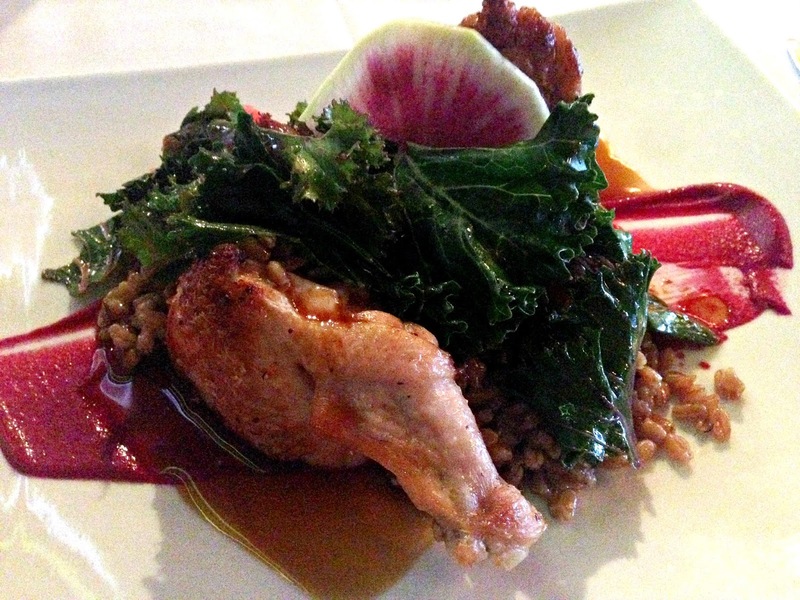 Heritage Food and Wine is now (softly) open in the old Zin Room space at 15th & Harney Streets. Tonight and tomorrow - Friday and Saturday - 11am to Midnight all food is 40% off as well. 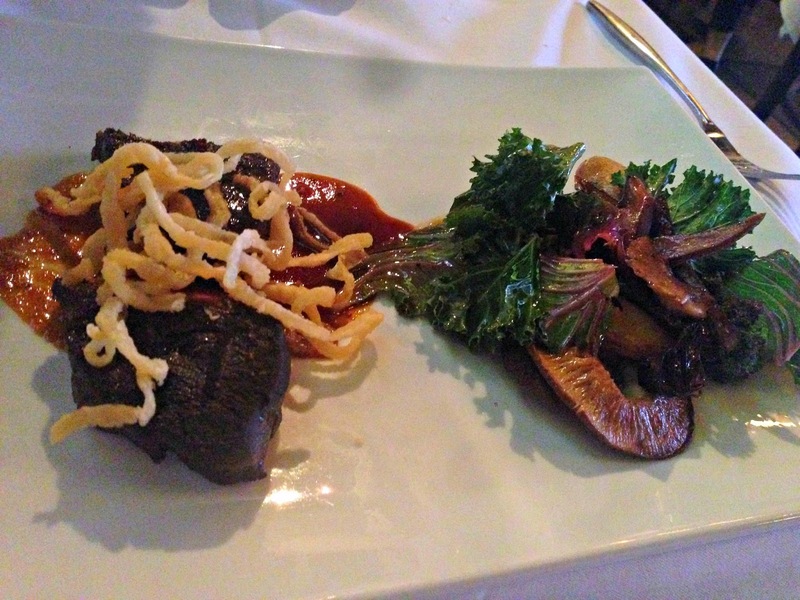 You can make reservations by calling 402.991.0660. 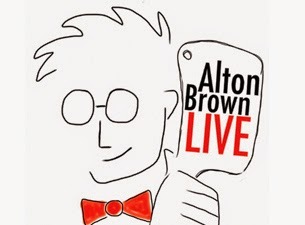 I had the pleasure of attending last night - the very first evening - as part of a blogger group. That in and of itself was an interesting experience as I'm not used to sharing food-picture taking with so many people. 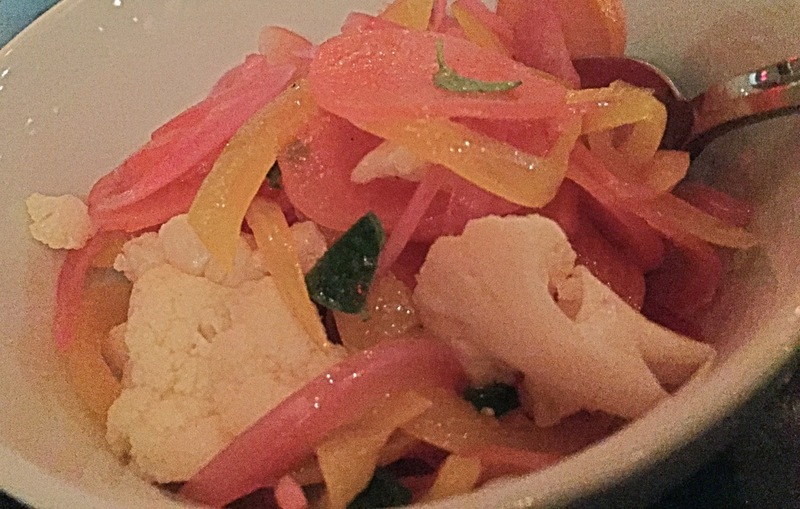 But while we're on the topic of pictures, I was sad that the lighting level wasn't really conducive to the nice bright food pictures I crave (and I'm really resistant to flashes in dark spaces). C'est la vie. But since people seem eager to hear more about this new addition to the downtown dining scene, I'll oblige now - shadowy pictures and all. First impressions of the bar (and bartenders) was very good. As I took it all in, I pictured myself spending time here, sipping house cocktails and snacking on small plates before shows at the Orpheum. 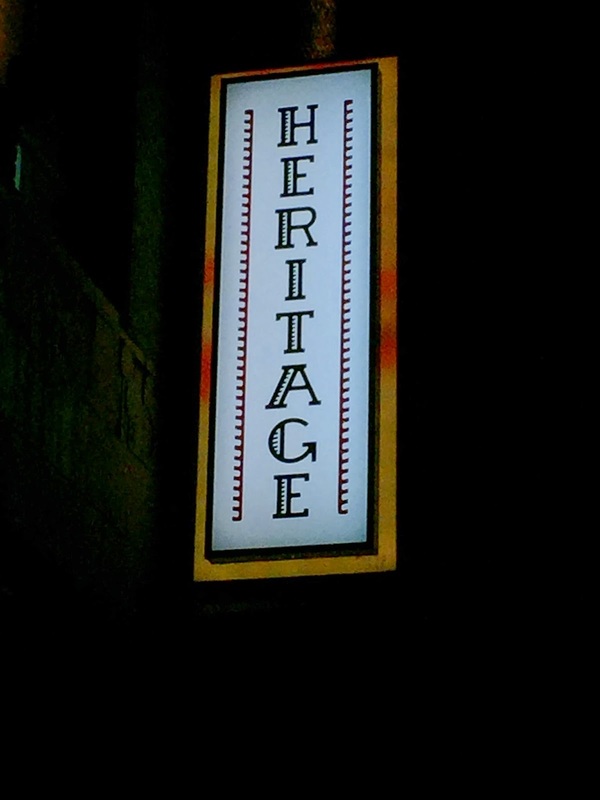 Unfortunately, I'm still off the alcohol until mid-March, but I'm sure the Heritage Bar will still be there waiting for me then. If I had been imbibing, I'd have probably started with the 'His and Herbs' seasonal house cocktail - Dewar's White Label, house strawberry cordial, Yellow Chartreuse, Fino Sherry, herb blend and lemon. 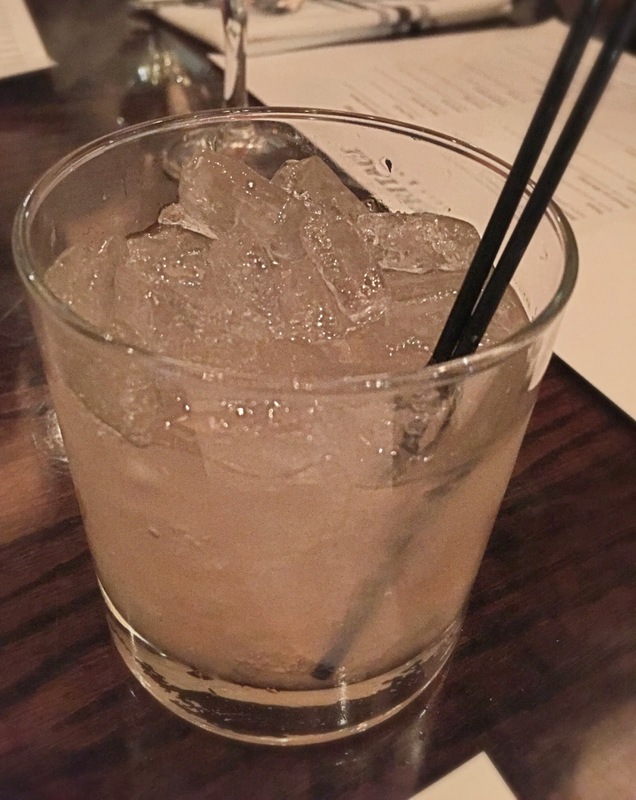 As it was, I started with an artfully crafted mocktail of white tea, grenadine, lemon, soda water, and peach bitters. And I'm happy to report that went down nicely... even without booze. Once we were seated, the food started flying. And it didn't stop until we were all stuffed to the brim. Still, somehow, we only made it 40% of the way through the menu. And the take-home message is that I am looking forward to trying other 60%. 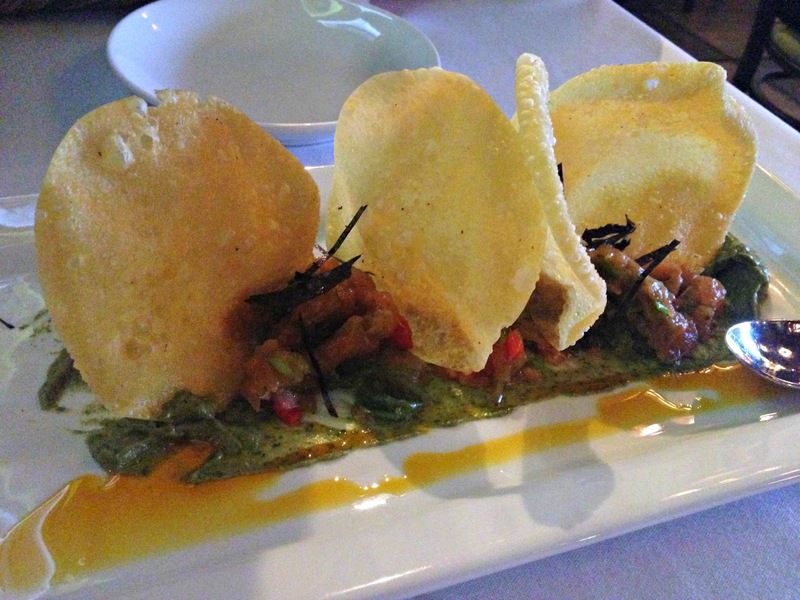 There were some miscues, which you might expect as part of a soft open, and some hits. So considering the context, and the fact that I plan to make subsequent visits, I'll try to hit the highlights in this post. The space and service were both spot on, which was impressive for a first night. There was a flurry of activity and excitement in the restaurant, which maintained a relaxing ambiance even when the space got a bit loud... though most of the noise was likely sourced from my table, I suspect. 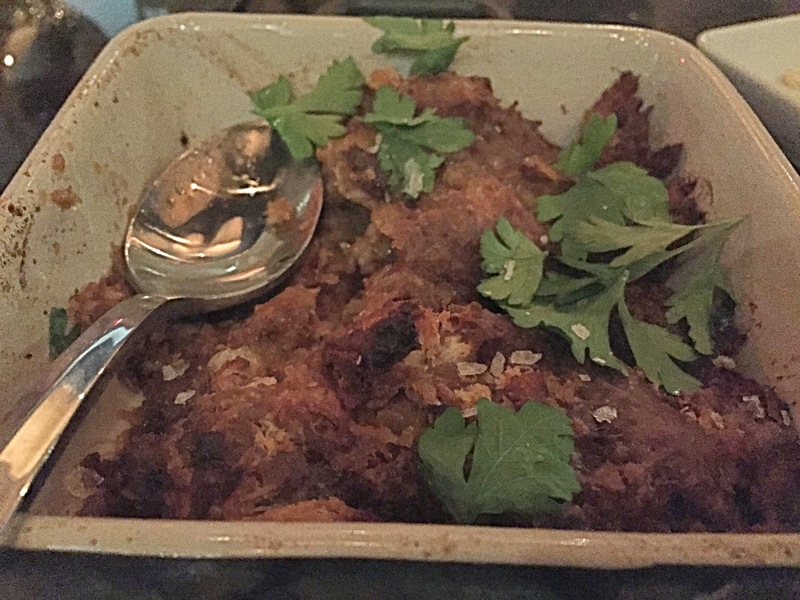 Menu-wise, Heritage is focusing on family style food. This means the dinner menu is organized into 5 sections: Garden, Sea, Coop, Pasture and Cave. Which kind of makes you feel like you're foraging for these foods yourself at first glance. So things aren't really arranged in 'courses' and are intended to be shared and ordered in phases. But I'll focus on each menu area separately here. Hopefully it'll help give a little taste of what Heritage is offering up. I for one will be revisiting to and look forward to the refinements that surely will come with time. On the topic of this section, though, I will throw out a word of warning for any vegetarians (or vegans). The menu does list several items as V-compliant, but they appear to be mislabeled currently. I'm sure this will be corrected on subsequent printings. House Pickles made with seasonal vegetables (carrots, onion and cauliflower in this case). Not really one to complain about pickles in any variety, these served nicely as a palette cleaner between items. 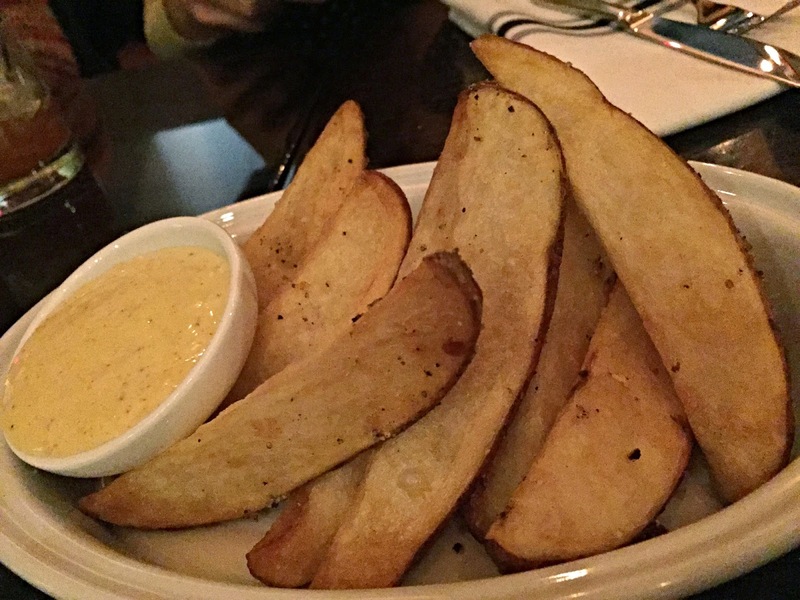 Potatoes: described as frites on the menu, these giant wedges reminded me more of steakhouse fries. Aoili was a nice compliment. 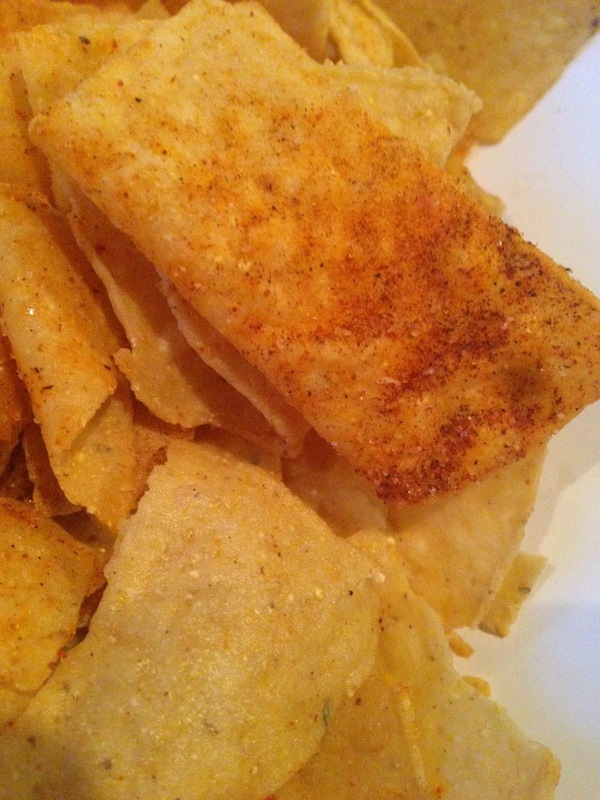 Could've been a little crispier on the outside and a little more cooked on the inside, for me, last night. But since Heritage is actively seeking this same goal, I'm sure they'll get perfected soon. (The process includes blanching in water, freezing, parboiling in oil, cooling and then frying to deliberately get that soft inside and crispy outside). 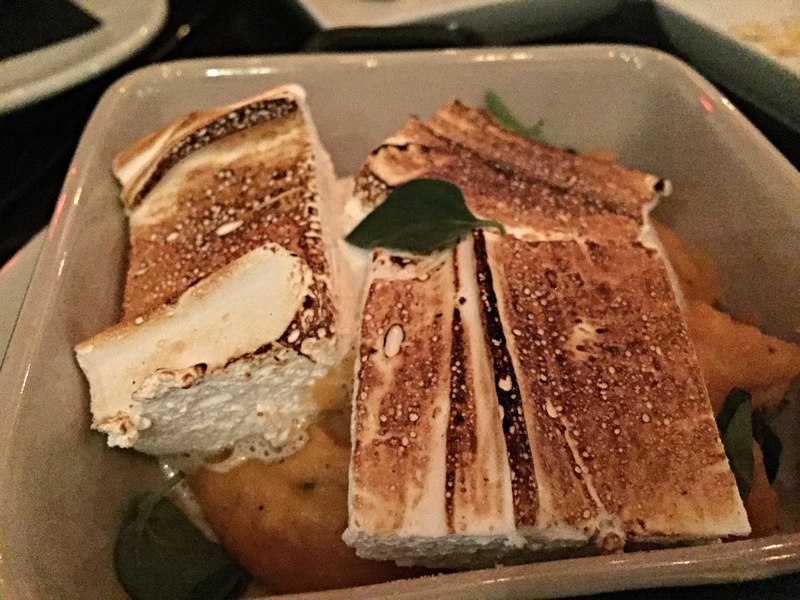 Sweet Potato: a big hit at our table, due mostly to the caramelized white chocolate and marshmallow toppers. 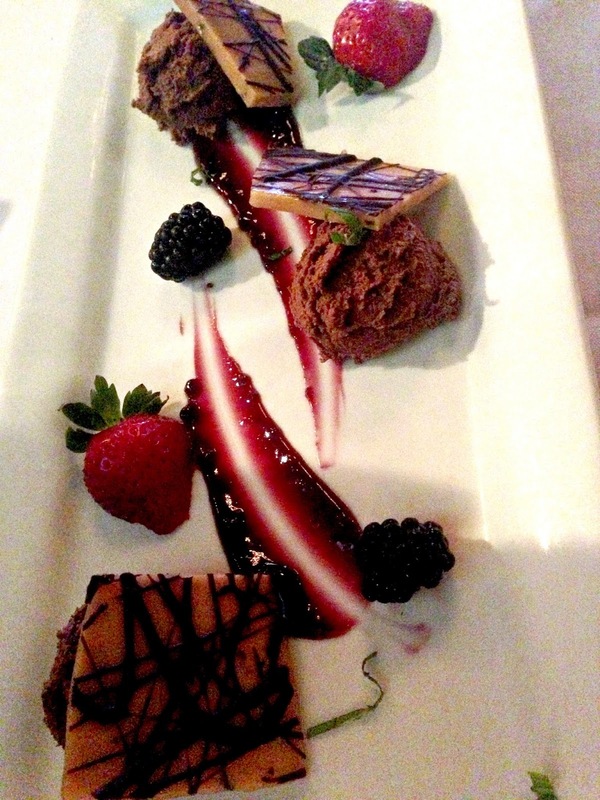 When they say sweet on this dish, they mean it. Broccoli: With cheddar fondue and chili pepper. I didn't get around to sampling this until it had cooled, so the impact was somewhat lost. 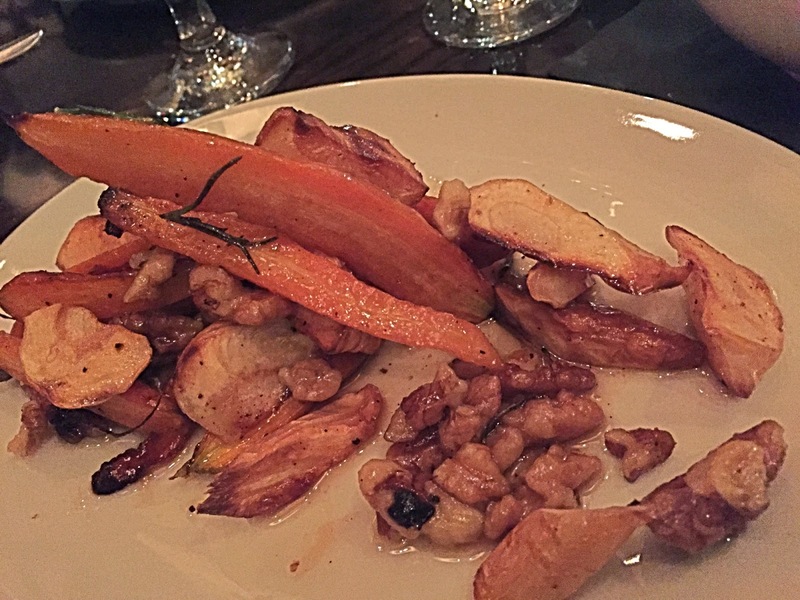 Roasted Carrots and Parsnips: One of my favorites and a standout dish of the evening. Simply dressed with maple syrup, rosemary and walnuts. Very good. 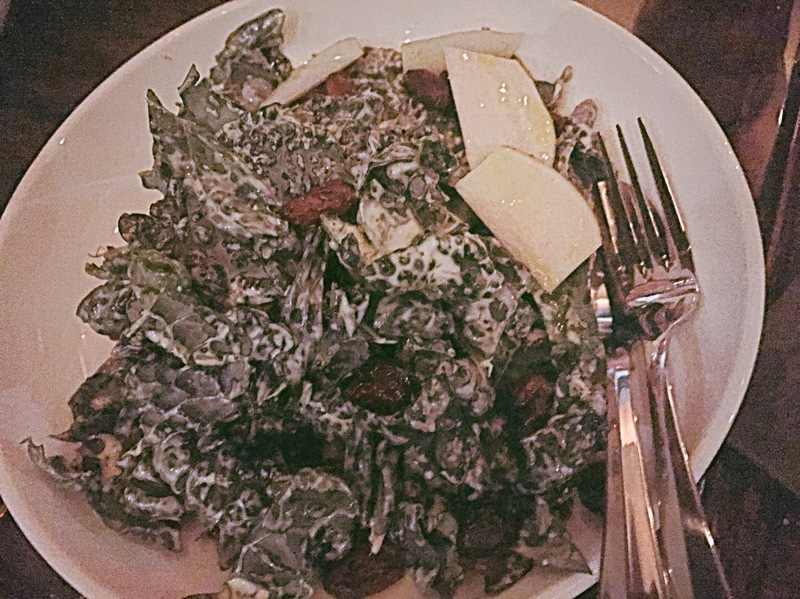 Kale Salad: Probably not for everyone, but I was also in love with this salad and the heavily dressed dill buttermilk vinaigrette and dried fruit. Bonus, there's pastrami at the bottom! 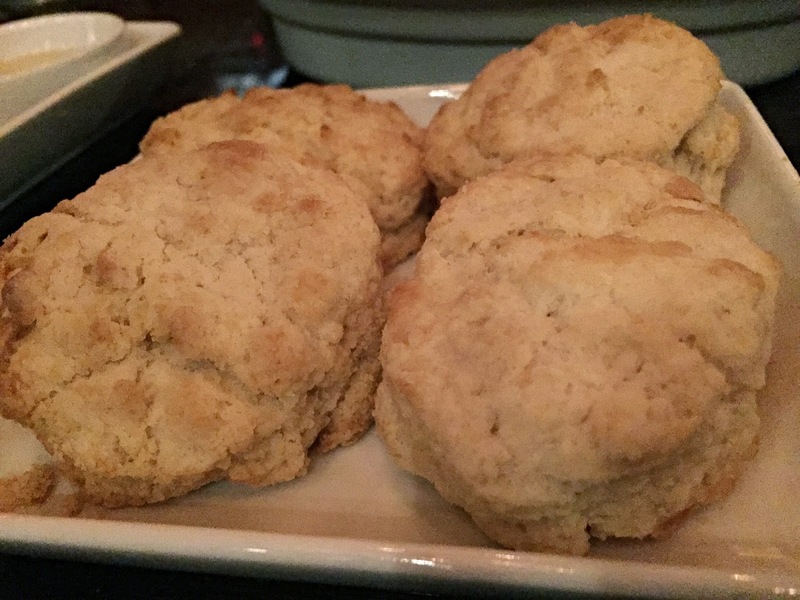 Biscuits: House biscuits came with several items, but vegetarians take note at least some of these are made with lard. Just one of many potential vegetarian / vegan landmines to keep an eye out for. Only one item was sourced from this section, the Smoked Salmon and Gravlox. With capers, pickled red onion, farm egg, dill and a black pepper meringue, it was a beautiful plate to behold and devour. Of course that also means I did not get a picture of it. 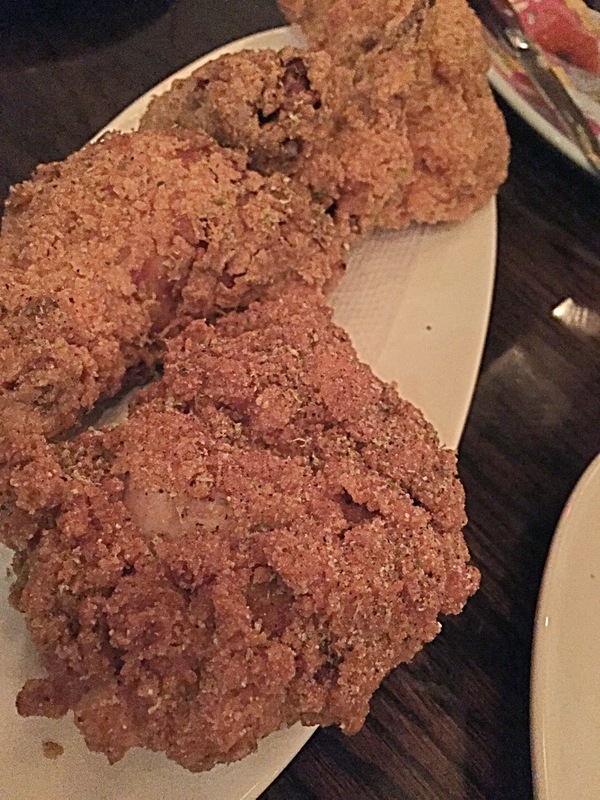 Heritage Fried Chicken: What I feel is being touted as the premier item on the menu (it has brackets, after all) the chicken was probably my personal disappointment of the evening. I was hoping for a crispier, lighter breading. And all the spice appeared to be residing in the accompanying sauce. But I always like lots of spices... if you're not into that, maybe this would be your holy grail? I'll try this again, for sure, though since I suspect we didn't get a perfected version. 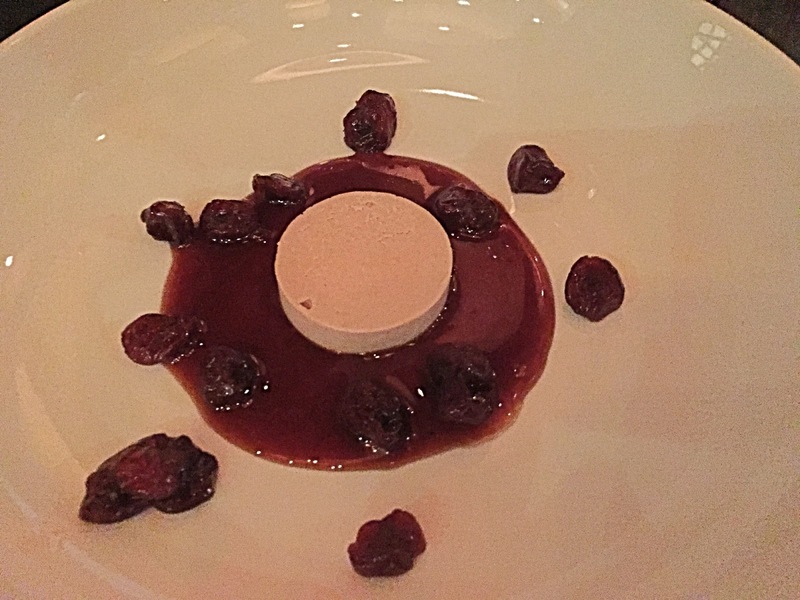 Foie Gras: I'm not morally conflicted enough about this item to not eat it, but I was flavor conflicted as I didn't know what to think of this dish. Maybe I only like foie gras warm? 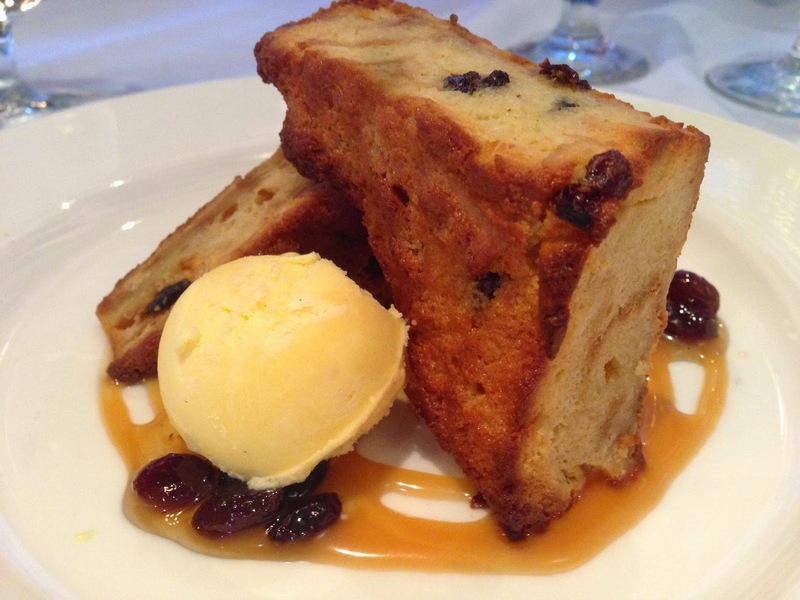 This was served terrine-style (cold) with milk jam, & maraschino cherries. (They do have a seared option with the cabbage dish, which I'll be trying next time). 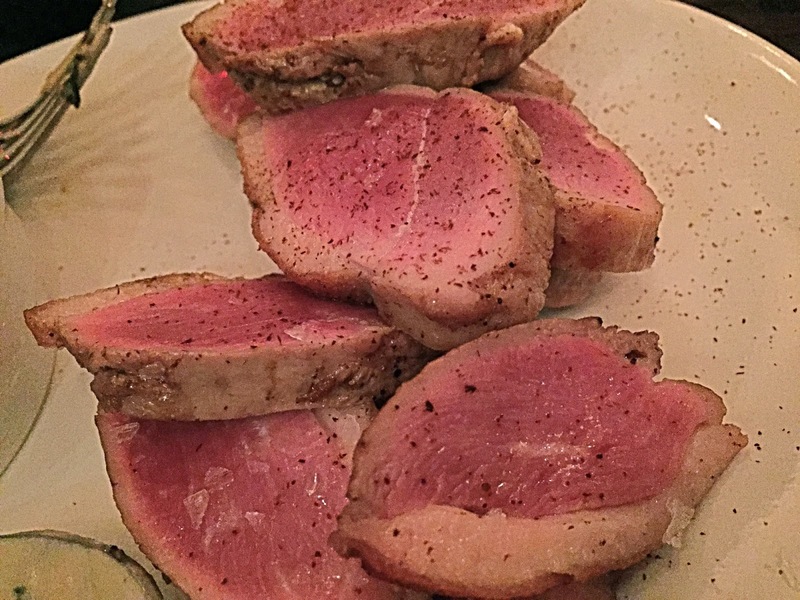 Duck Breast: Medium-rare cook style wasn't really tempting to many of our diners, but I sampled several slices. Definitely a healthy portion if you know of any duck-meat lovers you want to impress. The creamed kale that came along with this was another big win. Ham Hock and Beans: Keeping it simple here. 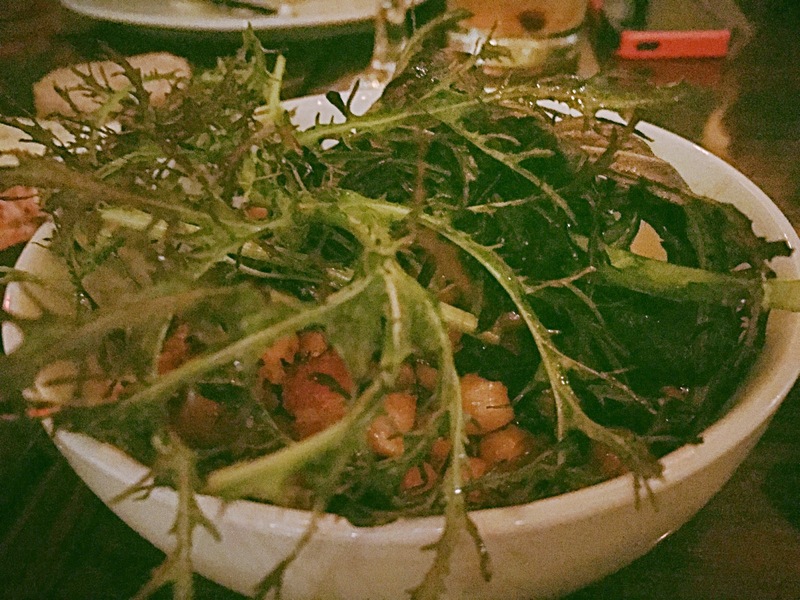 Beans, greens, molasses (and the meaty ham hock noted in the heading). Beans were purposely presented al dente, but when I eat beans my preference is for the squishier variety. Bone Marrow: The one item I specifically made a request for. Served 'out' of bone in beef stock, onions and parsley, with grilled bread. Mmmmmm. 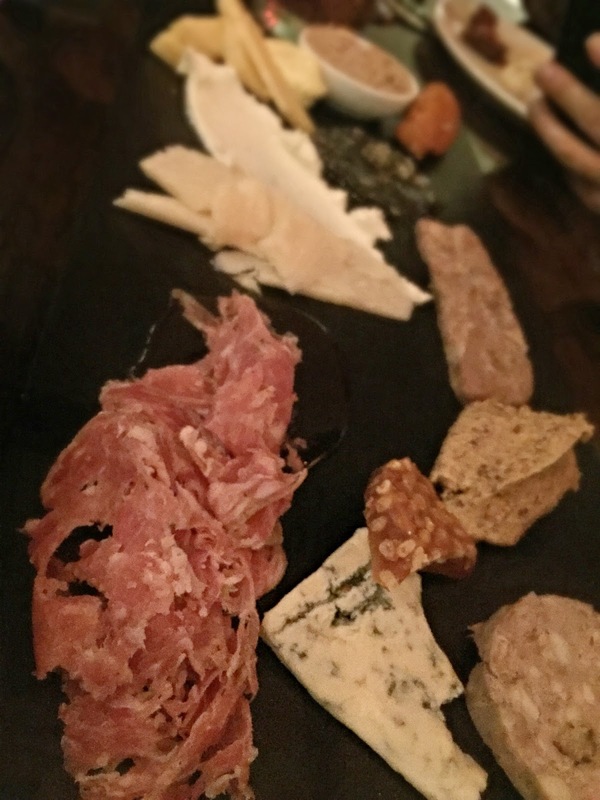 Meat and cheese charcuterie tray. I think we had a little of everything - a well-balanced array of both cheese and meats (almost a bit heavy on the meat?) with mustard, honeycomb, etc. I also learned a new word - nduja - a 'spicy, spreadable pork sausage'. Also, synonymous for delicious, in my book. I'm pretty easy to please when it comes to meat and cheese, but I would ask for grilled bread only in the future (when I come back to eat more nduja). Lalibela is best enjoyed with friends. And if you're having trouble finding friends to go here, let me know, as I'm always up for a visit. My recommendation is to order several items and do a round robin sort of roulette dinner, rotating periodically until everyone is able to sample everything on the table. But first thing's first... no utensils. That job is readily tackled by Injera, a sourdough-risen flatbread with a spongy texture. Traditionally made out of teff flour, it is a national dish in Ethiopia. And if just that description sounds off-putting then maybe this isn't the restaurant for you? But I always advocate trying something at least once before discounting it. And if you have any friends trying to avoid gluten, let them know they're safe here, as I understand teff to be one of the gluten-free grains. 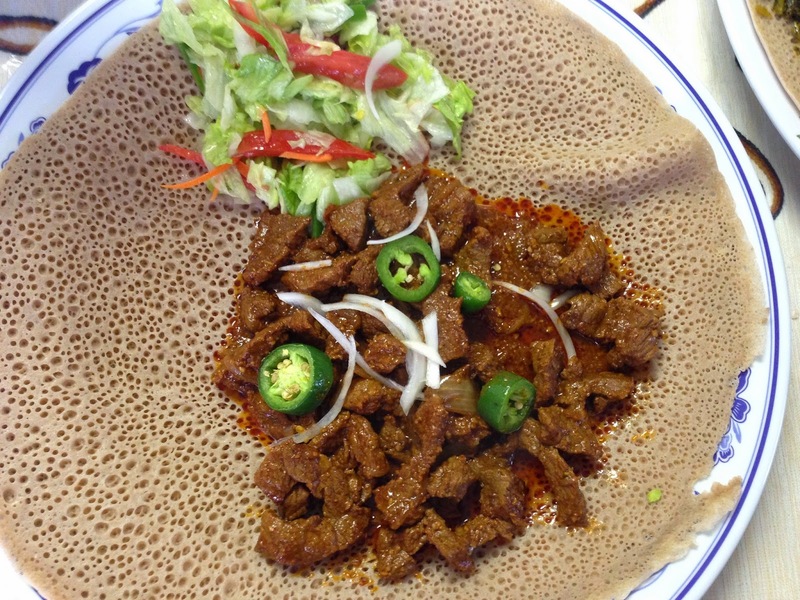 (Which is a good thing, because there's plenty of injera to be had here)! You can also bring your vegetarian friends, as their Vegetarian Platter is to die for. For some reason I feel like serving me a heaping pile of bread is a personal challenge (one I'm happy to accept). 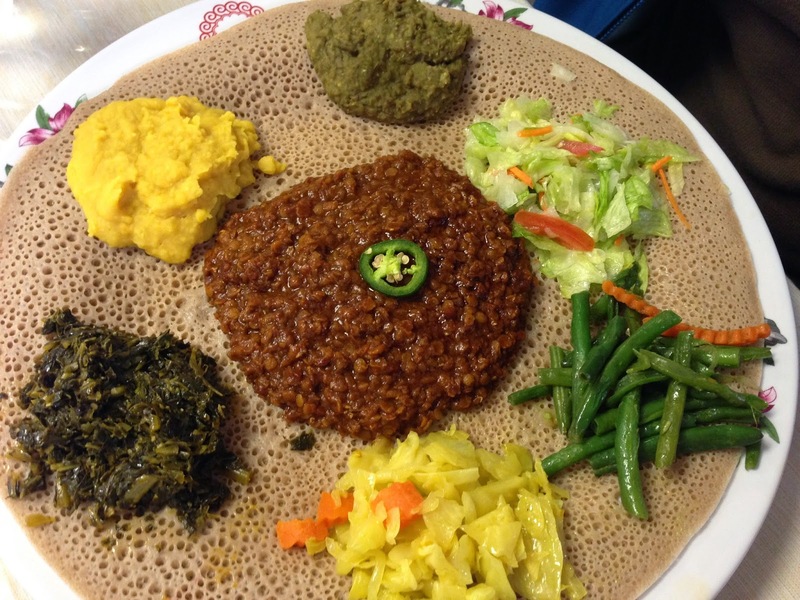 The meals are plated on top of injera, and baskets of the stuff are also served on the side, typically one per dish. I don't think I've tried everything on the menu yet, but the Vegetarian Plate is always a good choice, with several varieties of lentils, greens, and cabbage. Combination plate with doro wot and cheese is another good way to get a thorough sampling of the flavors and to ease yourself into. The process goes down pretty much like this... You just grab some injera, tear off a piece, and use it to pick up some food, then stuff the food in your mouth. There's not a lot of grace to it, but I suppose it does take some practice. Most of the meats are small enough to pick up easily in a single handful, and those that aren't can easily be dismantled with fingers. As for the food, mixing is allowed. And there is no particular order to the meal. Eat whatever, whenever and have a good time. We don't tend to enforce the feeding each-other rule shown in the video, though that could make for some fun dining too. 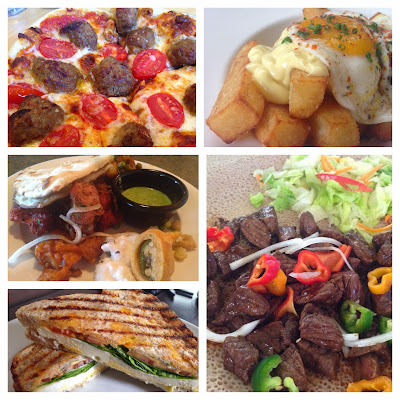 Here's my rundown of some favorites - which it turns out is most of the menu. 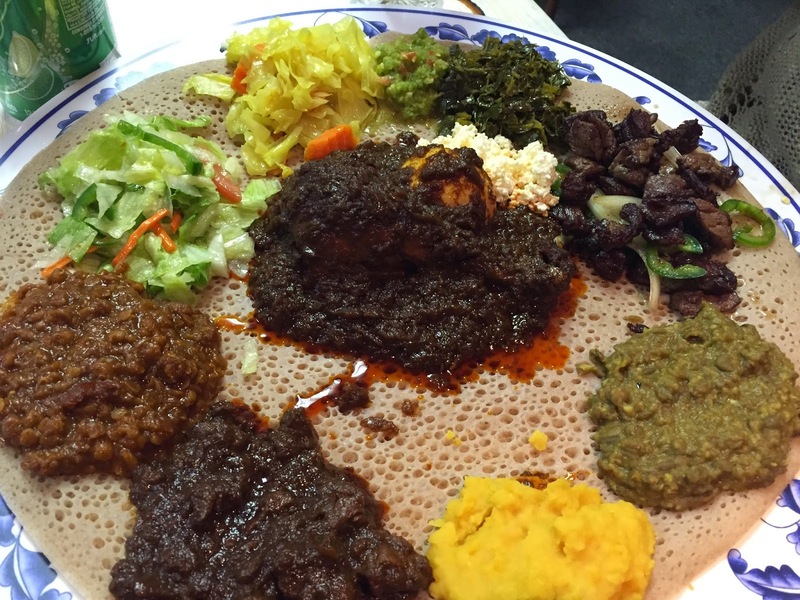 Combination Plate: A variety of meat and vegetarian dishes including tibs, doro wot, salad, cabbage, cheese and lentils. Great place to start if this is your first foray into Ethiopian. Vegetarian Platter: A combination of salad, cabbage, lentils and cheese. 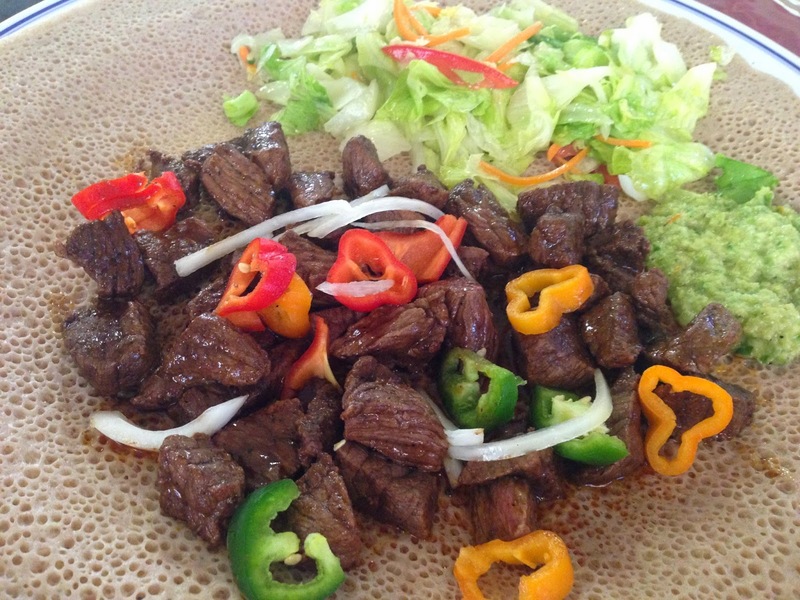 Kuanta Fir Fir: Beef sauteed in spices, butter and onion, mixed with pieces of injera. Key Wot: A spicy beef stew prepared with a clarified butter sauce, cheese on the side. Gored Gored: Lean beef mixed with spicy butter sauce and a paste of hot peppers with garlic, ginger and spices. Zil Zil: Stir fried beef strips, onions and peppers. 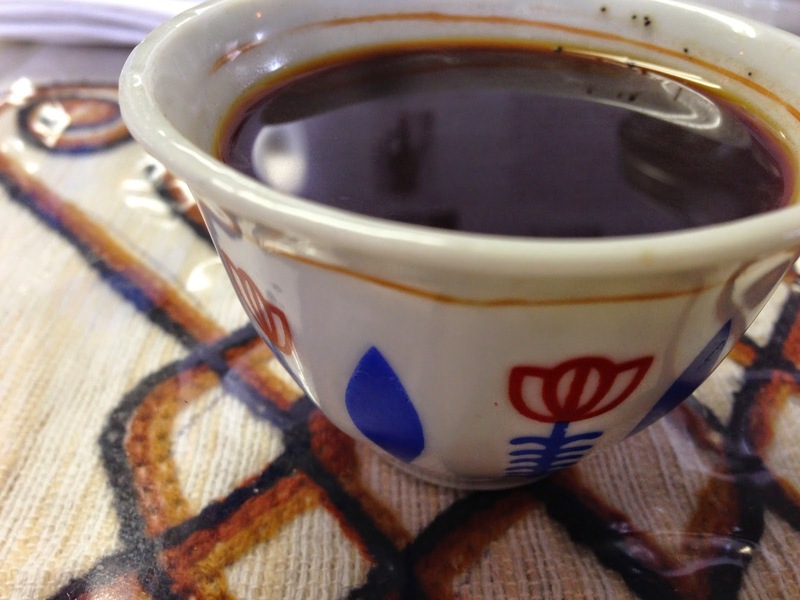 Ethiopian Coffee: Pretty much exactly what it sounds like. Strong and delicious. Ethiopian Spiced Tea: I think this used to be complimentary, but now they charge for it. You can probably blame me for this since I like to drink 2-3 cups... or, in other words, as many as they'll bring me. It's spiced, it's sweet, it's so good I'll even order tea in the summer. 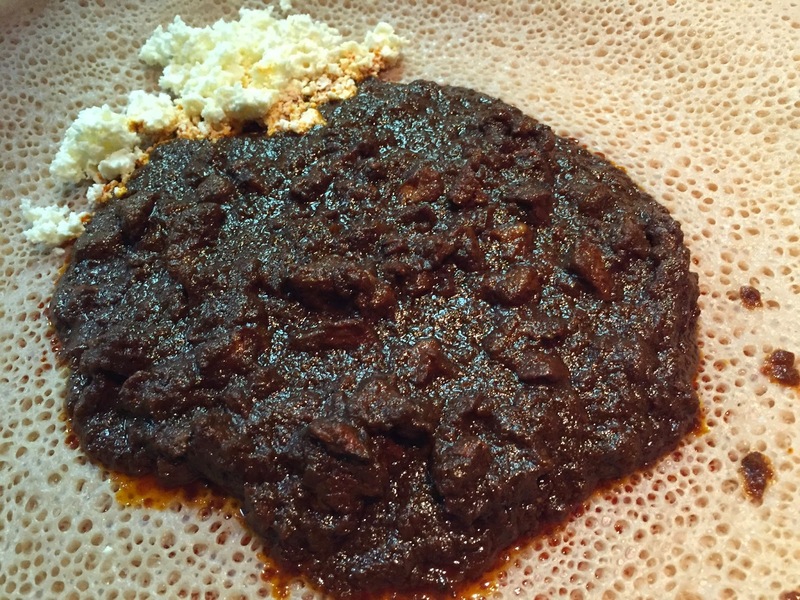 Injera: The star of the show in more ways than one. 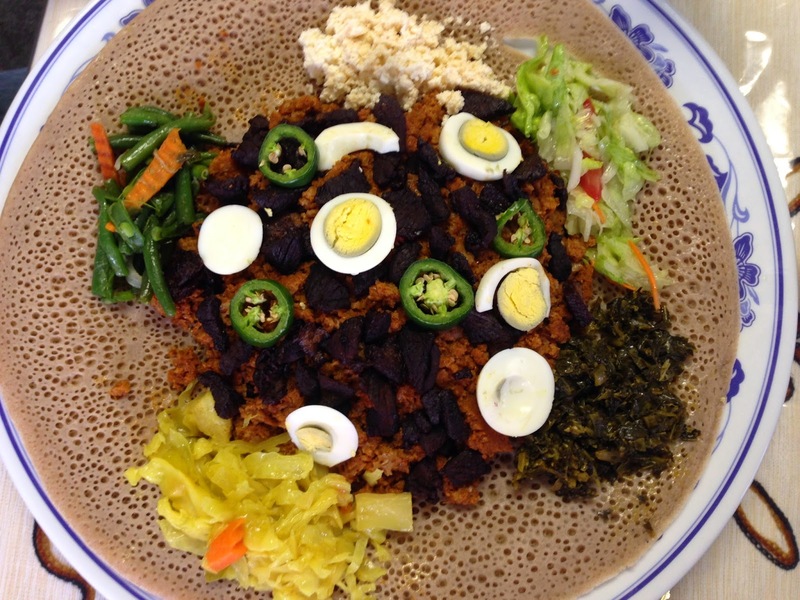 Injera serves as plate, utensil and meal all in one. They'll always bring a basket per entree, so don't feel compelled to sacrifice your platter bread at first. Then, after you've eaten your fill you can roll up all the leftovers for later. And that, my friends, is how you over-eat. Sharing an entrée is probably your best bet to leave in a comfortable state of affairs. Lalibelia does not have a liquor license, so if you're feeling like a brew you'll have to go elsewhere. What they do have is bottled water, Ethopian coffee, and some wonderfully sweet spiced tea (see above). Service is very friendly, but don't expect a detailed menu primer or rundown on what all the items are. You need to tap your sense of adventure here a bit. 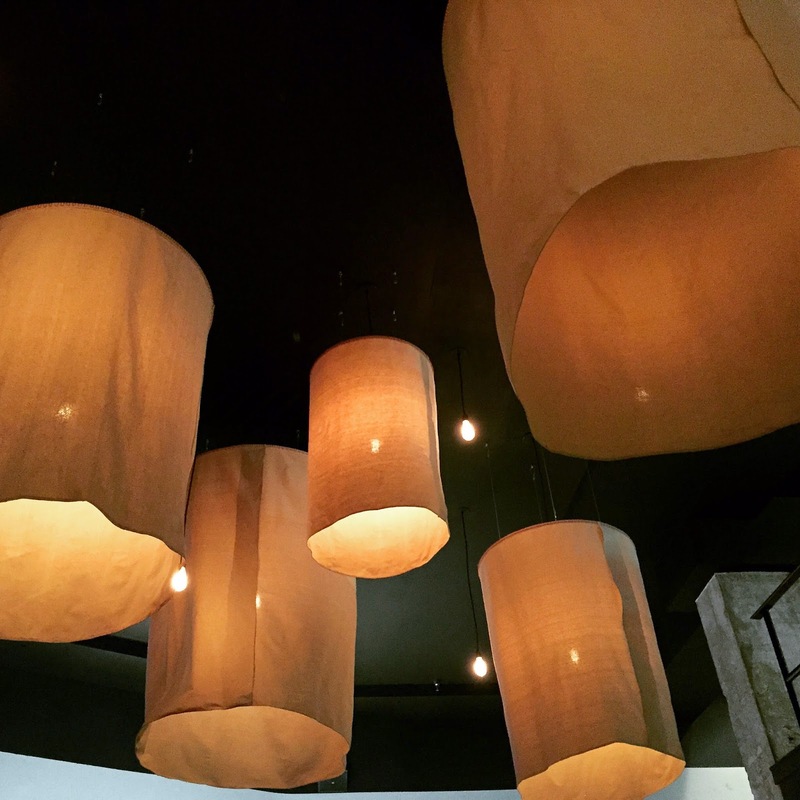 The restaurant is warm and inviting, decorations made it feel cozy, and the food is fantastic. Bring on the injera! 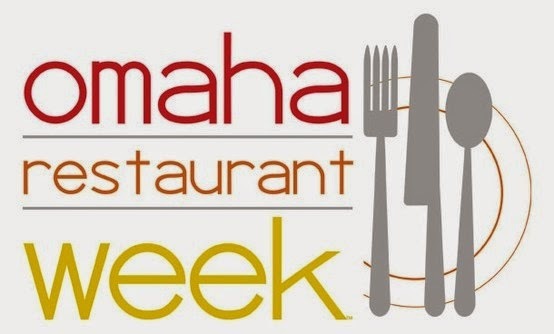 I started out just copying and pasting the restaurants listed on the Omaha Restaurant Week website to better be able to sort myself. And since it's me, I obviously used Excel for this exercise. But an interesting trend emerged... it appears that participating restaurants were allowed to enter their own descriptions, and since self-identification is always such an interesting exercise, I promptly sorted the list by cuisine type. The real question now... which to visit next. 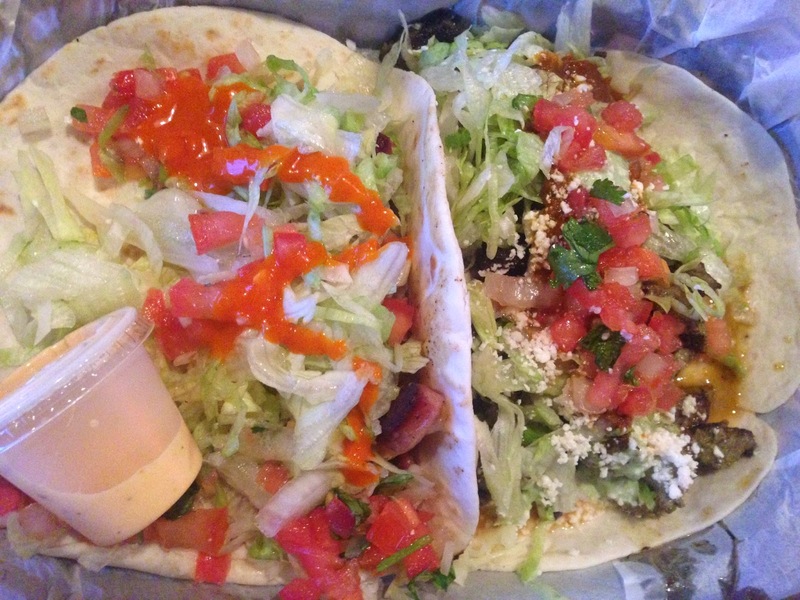 It took some gentle encouragement on part of the owner, but I [finally] revisited Voodoo Taco a little over a year after my initial review. Since that time I've also recently had food from the newly christened Voodoo Taco truck, which visited my place of employment midweek. I will say I was a bit wary to eat from the truck after some stories I've heard, but happy to report I did not suffer any ill effects (unless you count eating too much). Our return to the restaurant was spurred on with a meal on the house (full disclosure). Though as I assured the owner, I wouldn't let something like that affect my review. This time, the menu board TV was fully functional. But I wish I'd had my glasses as I found myself squinting. And we still had to get out the paper menu to figure out side-sauces. (That would be a good thing to get printed out and have on a poster-board or something for ordering). 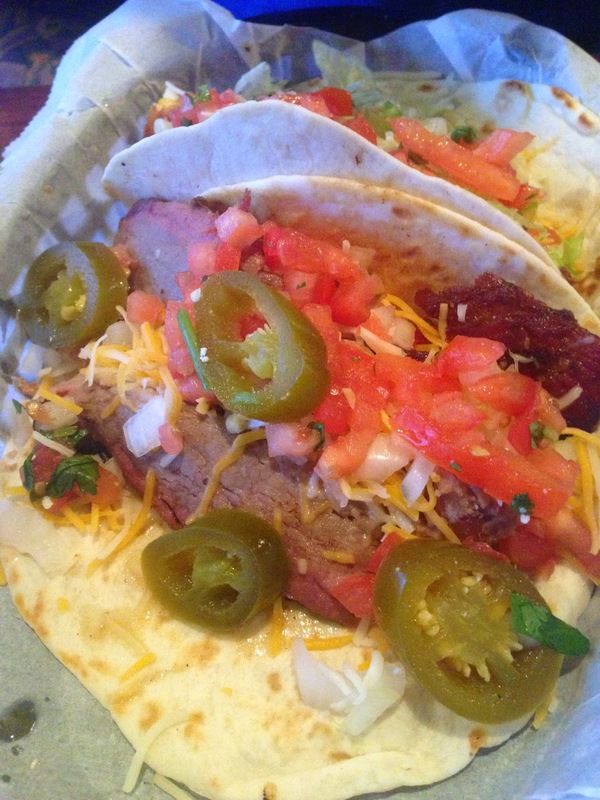 We ended up with many of the same varietals we sampled last time... Smoked Brisket, Barbacoa Beef, Alligator. And a couple of new ones. 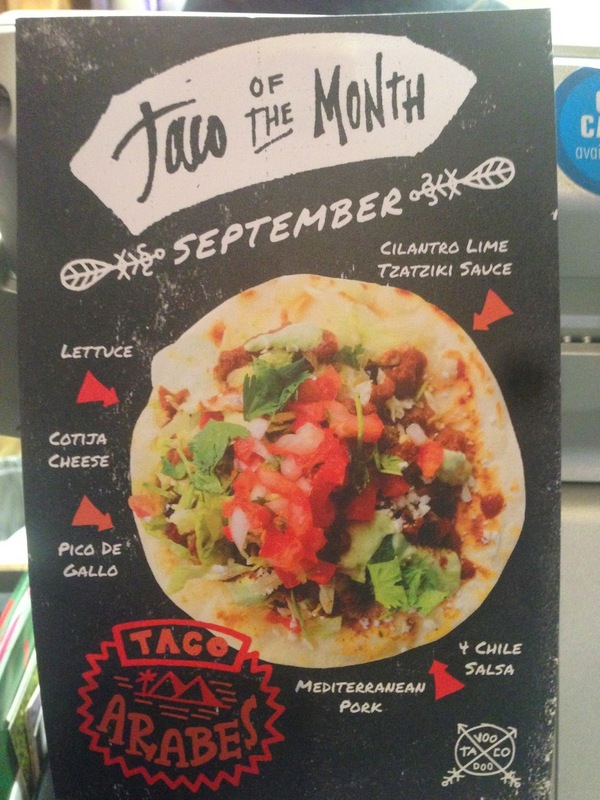 "Taco of the Month" was the Arabes (cotija cheese, Mediterranean pork, 4 chili sauce, cilantro lime tzatziki, lettuce, cotija cheese and pico de gallo) so strange sounding I had to try it - and a Fried Chicken. Starter was a basket of chips... some of which were HEAVILY seasoned (to the point of avoidance) and some delicious queso dip. The kind that you really can't stop eating, but there's so much of it you know you shouldn't dare finish it all. Dessert, eaten later at home, was the 'Voodoo Brownie' from somewhere the manager couldn't recall. "Chocolate... something". 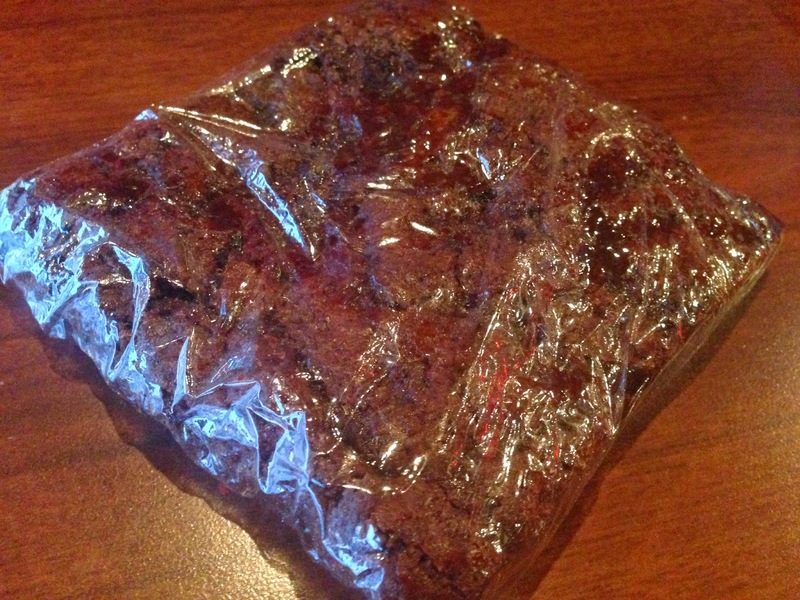 The description sold me easily: Double-Chocolate, Salted Caramel, Chipotle, Bacon Brownie. This seems to be the theme at Voodoo, many crazy combinations of flavors, which are obviously not intended as generic crowd-pleasers. This one was right in my wheelhouse, and the best thing I've eaten from Voodoo. The tacos came out in two baskets, but honestly I had trouble identifying which was the Alligator and which was the Arabes even after a couple bites. This is probably because I didn't read the description for the Alligator, but both had decent flavor. I [think] I preferred the Alligator though since the Arabes had too many crazy contrasting flavors going on. Ironically last time we also had trouble figuring out which taco was which. I would say perhaps this is a personal flaw, but Bill can back me up on this... we could tell what the meat types were (generally) and after biting into them it was more obvious still. The Alligator I finally identified when I realized the Arabes didn't have corn in it. Also looks like I didn't read the descriptions - again - just like last time. You know what else I obviously didn't read before ordering? I sampled bites of all the tacos (note, it was obvious that shells were at least thrown on the grill at some point before serving) and they were all a-okay. 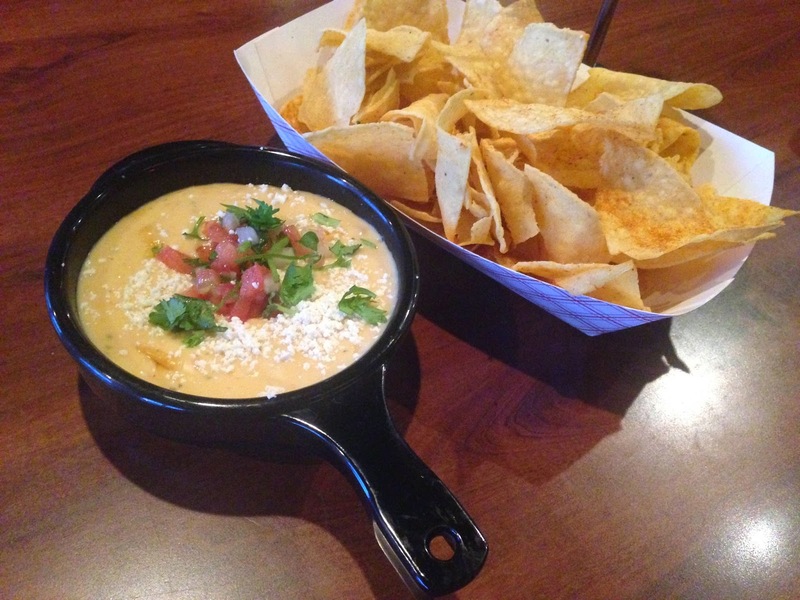 Nothing I would fight anyone for, but decent and filling... or was that the cheese dip? 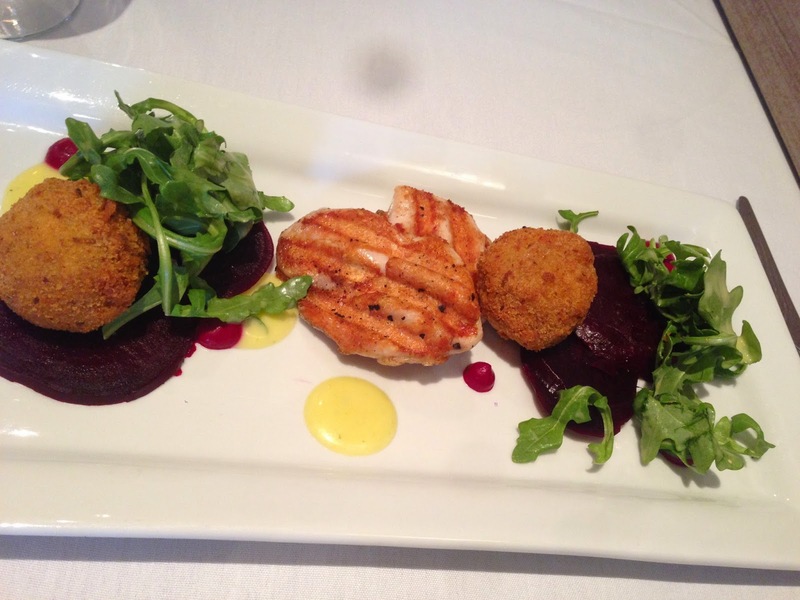 The biggest difference this time was that the meal was definitely edible, which I have to say is a big step forward. My favorite were probably the Alligator and the Barbacoa Beef. 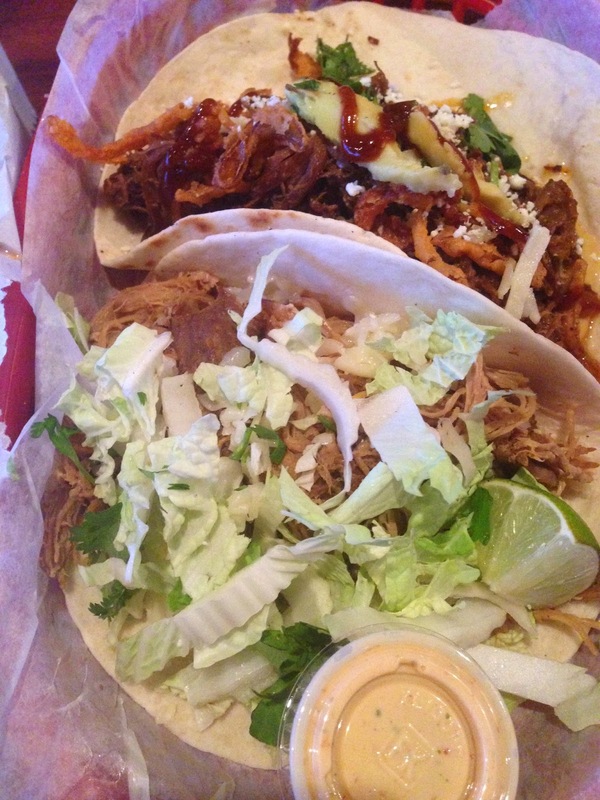 The Carnitas was probably the least appealing, on account of the dryness of the meat. Would I drive out of my way to get here? Unlikely. But many people would... and do. Enough so that Voodoo has expanded to Nebraska Crossing, the aforementioned truck, and soon Aksarben Village (where it is entirely likely I will try for a fourth time. Or fourth-meal). Not a restaurant I'll probably factor into my regular rotations, but it will be a welcome addition to the neighborhood, I'm sure. Since I got some grief for my Calculated "Best of Omaha" list, I realized this week it's past time I did a dedicated post listing MY Favorite restaurants in town. And for those of you that don't really read all of the context and just skip to the list portion, I'll try to keep the wordiness down to a minimum. This compilation is just from the past few days. (I like my variety)! The real question now is where I’ll end up for dinner tonight… because after writing this post it's very hard to decide! As part of this list, I went back through my Yelp list of favorites and started to update many of my Yelp reviews, but after about 10 it was lunchtime and I realized if I updated them all it'd take weeks [or months]. All in all, again, this post ended up being much more time consuming than I planned. But it was a labor of love, so I hope you enjoy. It was harder than I thought to come up with 100, and the order gets a little less 'important' as it goes on. But for right now, these are my favorites in Omaha, for one reason or another. Generally static, sometimes changing, always delicious. Last Updated 4/23/18. Kind-of in order... almost. 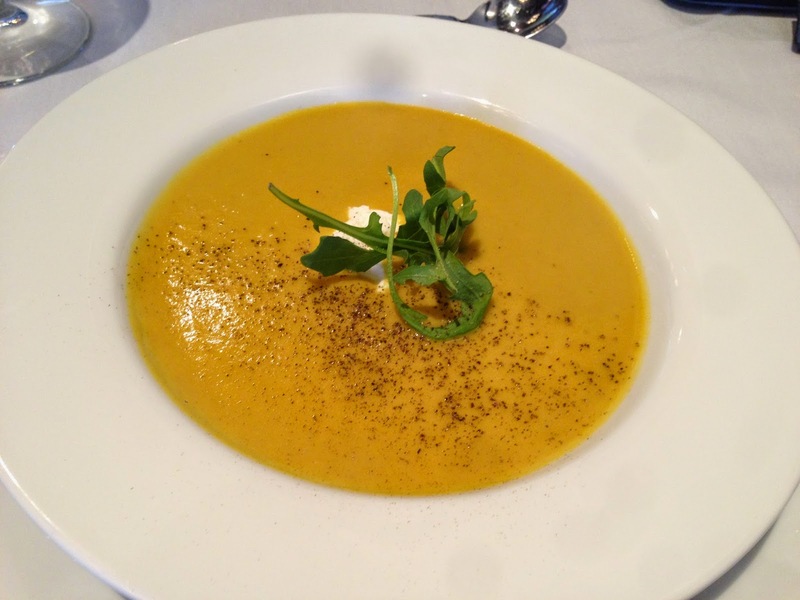 My friend Courtney gave me this great idea to do a post on which area of town has the best restaurant. It may come as no surprise to some that I have my biases already (Midtown for life!) but being of an analytically-inclined mind, I had to do the calculations to be sure. Inspired by the Yelp 100 list, and the popularity contest that is the annual 'Best of Omaha' I thought it would be a good idea to also figure out what the top places to Eat in Omaha were! This list was created with Yelp's listing of the restaurants in Omaha, sorted by 'Highest Rated'. I made a spreadsheet an took the top 200 listings, and calculated a score for each based on the average rating and number of reviews. This was a little tricky and is totally arbitrary, but I think came up with a reasonable result which didn't unfairly rank places with 5.0 ratings and 5 reviews higher than places with 4.5 rankings and 100 reviews. I didn't include the Culvers and Which-Wich chain-type places that were included in the top 200. Or things that I don't think qualify as 'restaurants' - awesome though they maybe - like Howlin' Hounds, International Bakery or Jacobo's. I also tried to exclude places that have more than 5 locations (Bonefish Grill, Sullivan's Steakhouse) in an attempt to answer the "what qualifies as a chain" question. Also, I deleted duplicates (sorry Abelardo's and the many iterations of Blue Sushi) and - this was a difficult decision - places with less than 10 reviews (sorry Mariscos los Willy's). To handle score ties I also sorted by average rating, then # of reviews. I also feel the need to point out that these are NOT my favorite restaurants, or even necessarily an endorsement, but it's certainly a better indicator than rating alone or popularity alone. Here's what I came up with for our Top 150 (because 100 just wasn't enough!) Interestingly enough, I have only been to 127 of these restaurants. There are probably better ways to do the formula, so bear with me on this first 'Best of' iteration. And what about that neighborhood thing? From the list above, I next needed to list which neighborhood each were in. (Luckily I could do this mostly from memory, which saved some time). 20th Street on the west to the Missouri River on the east, and Leavenworth Street on the south to Cuming Street on the north. The Missouri River on the east, the Carter Lake and Carter Lake, Iowa on the south, and Florence Boulevard from Jaynes Street north to Read Street on the west. Cuming Street on the north, Center Street on the south, 24th Street on the east, and Saddle Creek Road on the west. But that seemed too simplistic, plus the definitions were a little arbitrary and up for debate. So, I decided it'd be much more fun to just make a big Google Map of these restaurants and let people decide for themselves. It's kind of a toss-up depending on where you draw the boundaries. Enjoy!